6 NSB steam locomotive class 2a, wheel arrangement 1B, length 11011 mm, driving wheel diameter 1448 mm, two cylinders 508*305 mm, boiler pressure 827.7 kPa, speed 50 km/h, locomotive weight 21.3 t, tender weight 7.1 t. Built 1861 as No. 1406 by R. Stephenson & Co. Engineers, Newcastle on Tyne. 16 In the coach films were shown, this particular one about maintenance of steam locomotives. I sat there fascinated for 45 minutes. 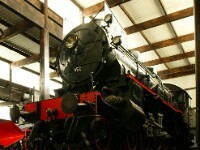 19 NSB steam locomotive class 7a 25. Gauge 1435 mm, built 1875 by Manning Wardle & Co. Ltd. Leeds, suited for operation by one person. Wheel arrangement B with 965 mm driving wheels. Used for shunting and local trains. 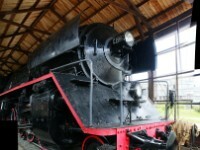 It became a museum locomotive in 1955. 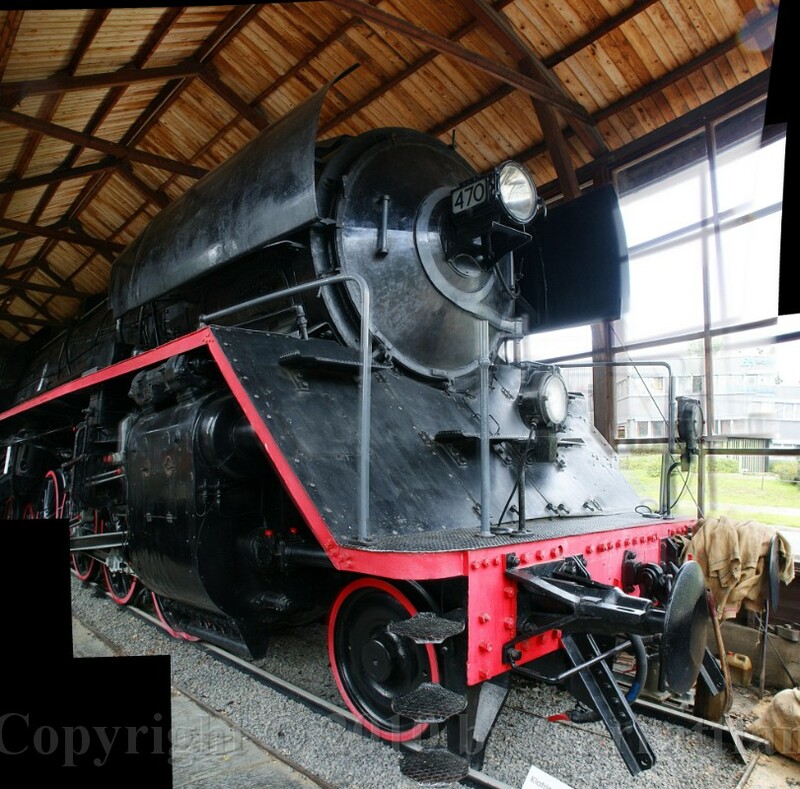 This locomotive used to be on display in the hall of Oslo Sentralstasjon before it came to Hamar. 54 The narrow gauge steam train making one of this year's last runs. 73 A typical problem for many railway museums: a large loco that barely fits in this shoe box, though I for the world wouldn't know why space is a problem with this particular museum. 74 The NSB Class 49, nicknamed Dovregubben ("the Dovre Giant") locomotive was a 2-8-4 steam locomotive used to pull heavy trains on the Dovre Line. 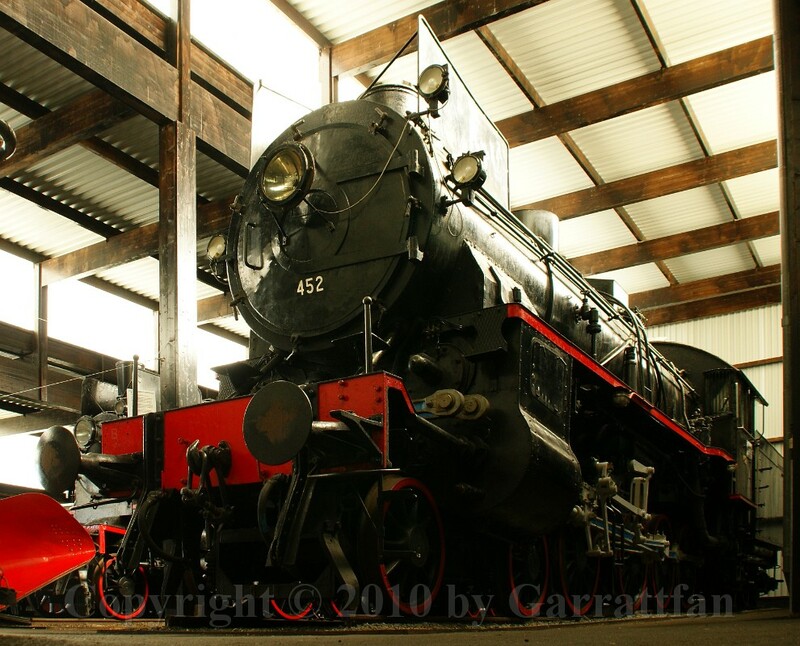 It is the largest steam locomotive in the history of the Norwegian State Railways. 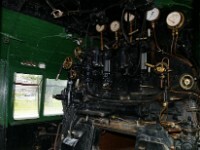 The engine came in three series, the 49a, 49b and 49c. Between 1935 and 1941 five engines were produced by Hamar and Thune, two by Krupp AG. In addition to the seven engines delivered, there were seven engines which were destroyed by a bombing raid during World War II while under construction in Germany, another four were under construction at Thune but were never completed. The engines were retired on December 16, 1958. 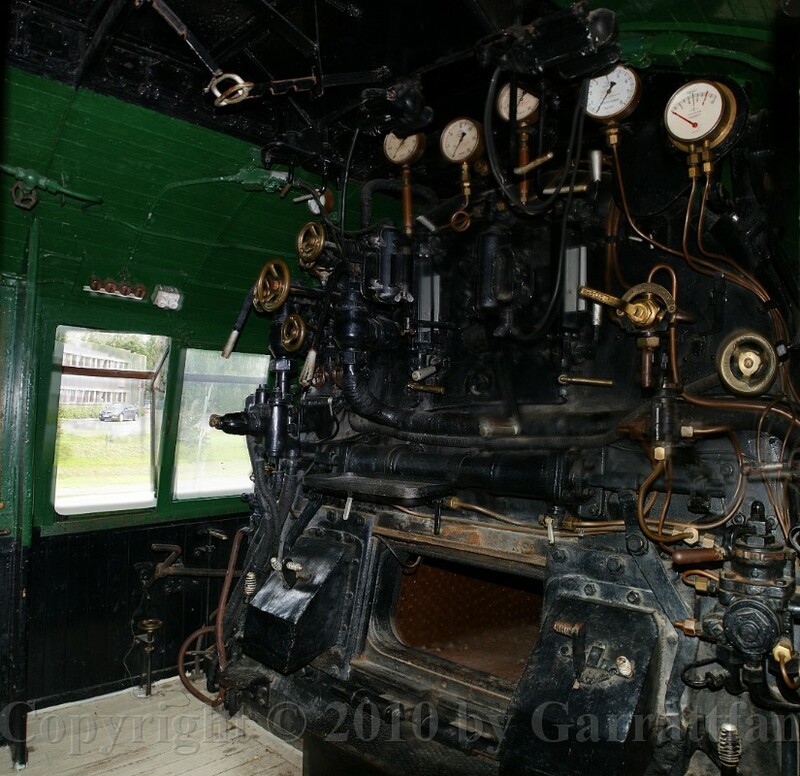 79 the loco cab was accessible and even after fifty years you could sense the raw power this engine housed. 84 Though maybe not the best of photos, this composition of six separate photos shows the sheer size of the cab and the complexity of the controls. Th cab is very spacious, you actually walk around in it, instead of moving from left to right at best.